St James is a growing, all-age, evangelical Christian community in Carlisle, with a particular focus on the community of Denton Holme, Longsowerby and Cummersdale. 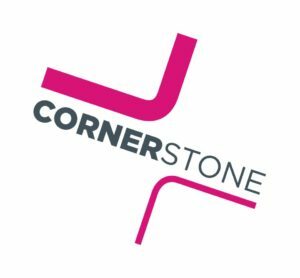 There are numerous activities taking place throughout the week around the parish, and in Cornerstone, our coffee bar and charity shop on Denton Street, as well as services every Sunday morning and evening, complete with children’s and young people’s programs. Throughout the week different groups meet, spending time together, praying, learning, supporting each other, ministering to others, doing practical things or just having a good time together. If there is anyone interested in becoming a dementia enabler for St James - and attend a training event on May 18th in Cockermouth please contact Simon ASAP. Details below. (2) Key to the success of this initiative is action at local level, and David asked churches to identify someone within the congregation willing to give a lead as a volunteer ‘Dementia Enabler’. Many of you responded positively to this: since the project was launched in 2016, 121 Dementia Enablers have been recruited, and are now active in making their place of worship dementia-friendly. No one has ever attempted anything as ambitious as this Cumbrian initiative, and there is a rising tide elsewhere of interest in what is happening here. The third of our annual ‘Cumbria Churches’ Dementia Conferences’ was held in November 2018 and attracted approx. 80 participants. The next one is to take place later this year, Saturday 16 November at the United Reformed Church, Penrith. • If your local church (or circuit, team, group, corps or meeting house) has yet to nominate a Dementia Enabler, please would you consider doing so? • If, on the other hand, there is an Enabler in place, would you discuss with them whether it would be of help if someone else were nominated to share the duties with them? With this in mind, we are holding a Recruitment Day for new Dementia Enablers on May 18th 2019 at Cockermouth United Reformed Church, Main St. from 9.30-3.30. Drinks will be provided but participants should bring their own lunch. A Dementia Friends session will be offered in the morning followed by new and existing Enablers joining together for afternoon workshops. We hope the day will be both interesting and informative in content as well as an opportunity for Enablers to meet and share together all that is happening in their churches and communities. 1)If there is someone willing and able to be nominated, the attached Nomination Form should be completed and returned to CTiC Administrator Emma Brown at: ebctic@outlook.com. This will also serve as their booking a place on the Recruitment Day. 2)If there is someone you would like to nominate as an Enabler but they are unable to attend the Recruitment Day, please return the form to Emma but state on it that this is the case and we will be in touch with them. 3)If there is someone who is interested, but unsure about taking on the Dementia Enabler role, they are also most welcome to attend the Recruitment Day and should book a place in by contacting Emma. Check out Cornerstone: coffee shop and 2nd hand books and gifts, and a great meeting place in Denton Holme. Children & youth are an integral part of St James Church family, click HERE to find out more. As a church we take safeguarding extremely seriously, click HERE to find out more.